Presumably, if you’re reading this, you’re at least curious about electronics. 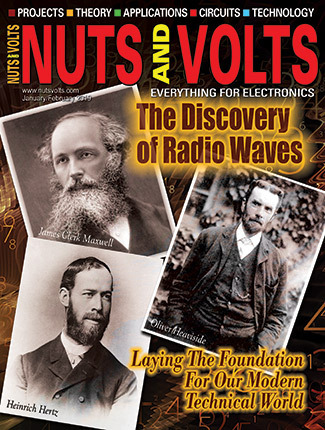 If you’re a first time visitor to Nuts & Volts, perhaps something on the cover caught your eye. 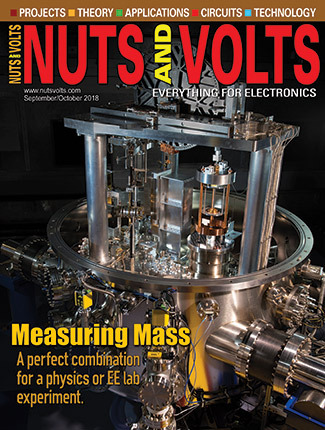 If you’re a long time subscriber, the content hopefully resonates with what you enjoy reading to advance your understanding and practice of electronics. However, given the rapid evolution of the field over the past few years, exactly how do you define electronics today? As a point of reference, according to Merriam-Webster.com, electronics is “a branch of physics that deals with the emission, behavior, and effects of electrons (as in electron tubes and transistors) and with electronic devices.” I don’t know about you, but to me, this definition seems both indefinite and antiquated. 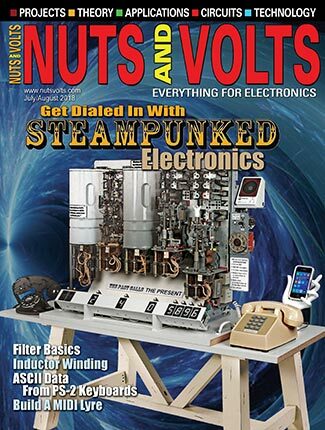 In this broad definition, “electronics devices” includes just about everything — from resistors to Bluetooth enabled bathroom scales to ham radio transceivers. This definition also ignores the past several decades of fundamental electronic engineering teachings that include the behavior and effect of holes as well as electrons. This dictionary definition of electronics highlights the nature of the electronics hobby today. For one, it’s extremely diverse. As active hobbyists, we can be talking about consumer electronics, robotics, medical devices, or video game consoles. The definition also hints of experimentation or at least appreciation of the underlying physics. As such, I believe an electronics hobbyist isn’t a label for someone who simply purchases the latest smartphone or game console, but someone who also digs into how the devices work. I see lots of people with their phones, PDAs, laptops, fitness bands, and the like, and I don’t consider them electronics hobbyists. They’re consumers. In my definition of electronics, there’s definitely a hands-on component, and it’s central to the definition. 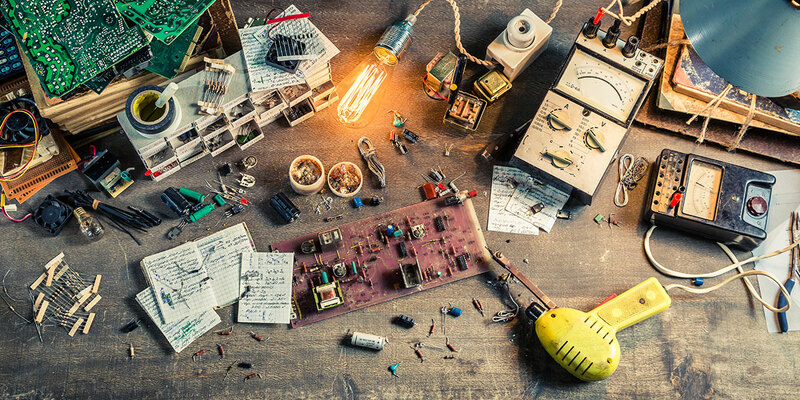 Someone may own all of the latest electronics gizmos, but if they don’t use a soldering iron or equivalent connection system at least once a month, then I’d be hard-pressed to acknowledge that they’re an electronics enthusiast. In my definition, someone active in electronics pursues active investigation. I say active because you can’t simply buy yourself into competence. You may have the best stocked parts bin on the planet, but if you don’t use the parts in circuits, you might as well sell the parts collection. As a ham radio operator, I’ve seen many “shack” photos some showing dozens of transceivers, tuners, 24-hour clocks, and so on. Very impressive, but I know that the ham radio operator probably uses only one of the transceivers on a regular basis, and the rest is just window dressing. As a ham radio operator with a few extra communications peripherals of my own, I can vouch for the attraction of vintage gear that simply looks beautiful. 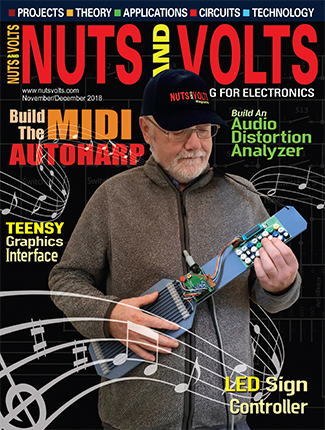 Based on the evolution of components to microcontrollers over the past few years, it’s not unreasonable that Nuts & Volts may have to change its name to Keyboards & Microcontrollers. Enough of my rant. I’d like to hear from you.